I still really love black doors even though I just painted over mine. You may remember back in August when I painted the horrible yellow doors in our den black. I loved them—at first. But, this small room has three doorways in a small area, with the office desk right beside the doors. There was just too much going on visually. Here's how it looks now, after repainting. 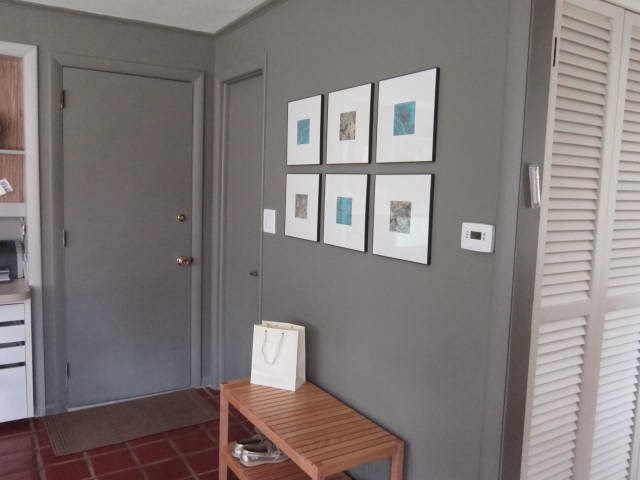 The walls are Benjamin Moore's Chelsea Gray. 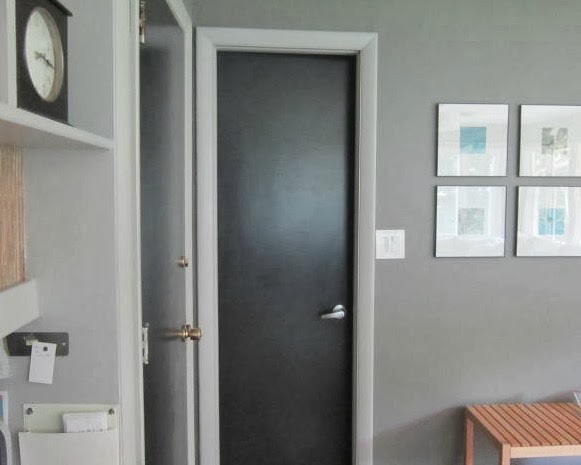 I used the leftover paint and painted everything the same color...door trim and the doors. 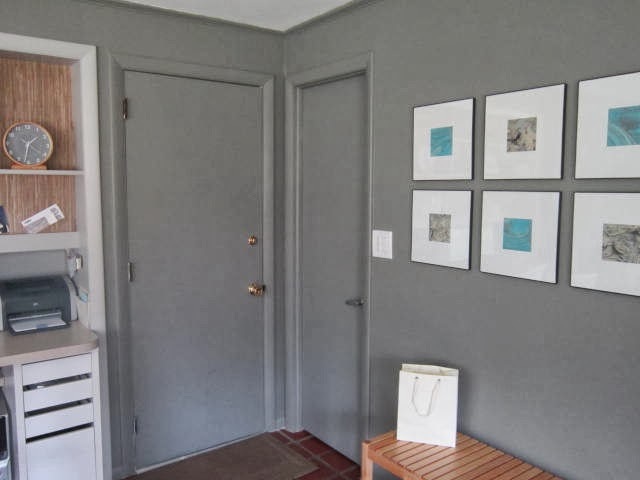 I loved the rich look of the black but with two doors and a hallway leading into the laundry room the black doors with light gray trim just added to the busy look. Now your eye goes to the desk area on the left, the grid of frames above the bench and the hallway. 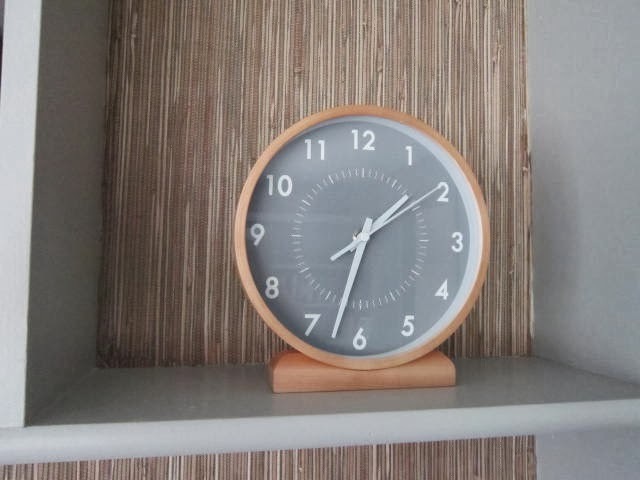 It looks perfect against the Grass Cloth behind the shelving!